Jill C. Bernstein, Au.D. - Hearing Evaluation Services of Buffalo, Inc.
Doctors > Doctors of Audiology > Jill C. Bernstein, Au.D. About Jill C. Bernstein, Au.D. Dr. Bernstein has been with Hearing Evaluation Services since 2006. Prior to her audiology career, Dr. Bernstein worked as a licensed nursing home administrator for several years in Westchester County. In addition to her clinical caseload, Dr. Bernstein is the Assistant Director and is responsible for ensuring that our office remains on the cutting edge of diagnostic audiology procedures. 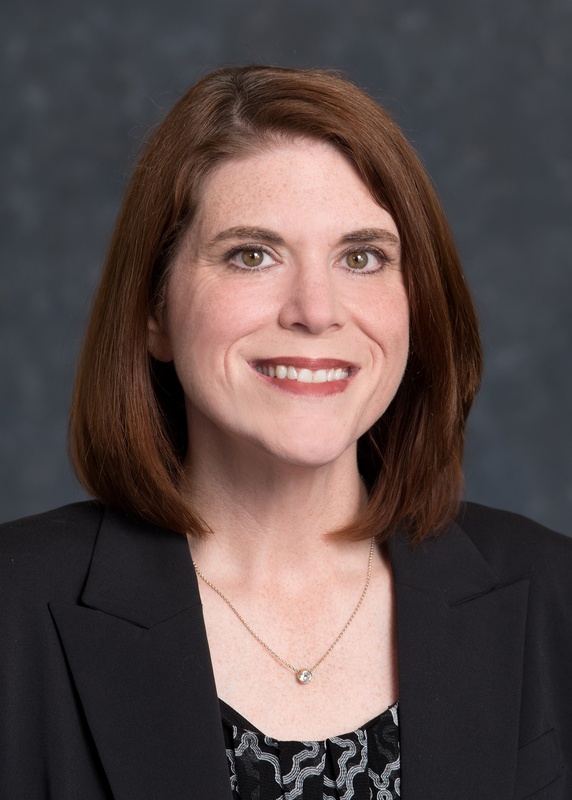 Dr. Bernstein has presented at several national audiology conferences and has taught and assisted undergraduate and graduate audiology courses at the University at Buffalo, where she serves as an Adjunct Clinical Instructor. She has also presented on current research, clinical testing techniques, and treatment and management of hearing and balance disorders for physicians at Dent Neurologic Institute, Sisters of Charity Hospital, and the Buffalo Ear Nose and Throat Society. In 2015, Dr. Bernstein extended the reach of HES audiologists by joining a medical mission to Guatemala. Each February, she returns to Guatemala to test hearing and fit hearing aids for rural villagers who do not typically have access to medical or audiological services. Dr. Bernstein’s areas of clinical specialty include comprehensive hearing evaluations, selection and fitting of hearing aids, and vestibular (dizziness) evaluations. Dr. Bernstein is also a certified provider of the Lyric hearing device. Dr. Bernstein grew up in Northern New Jersey and has lived in several cities throughout the United States and abroad prior to relocating to the Buffalo area in 2003. Missionary Audiology Trip: Guatemala. Partnered with a local Otolaryngologist to join a medical mission to two remote villages in Guatemala for hearing testing and fitting of hearing aids. 02/15. Grand Rounds: Sisters of Charity Hospital, Buffalo, NY – presented to Otolaryngologists and residents. Current Audiologic Evaluation and Treatment of Tinnitus. 01/15. Grand Rounds: Dent Neurologic Institute, Amherst, NY – presented to neurologists and allied health professionals. Hearing Loss and Dementia. 02/14. Grand Rounds: SUNY at Buffalo – presented to graduate audiology students on the audiologic and vestibular test results found in patients with Vestibular Migraines and Post Concussion Syndrome. 03/12. Taylor, B. and Bernstein, J. (2011). The Red Flag Matrix: Using the QuickSIN and the ANL Tests. Audiology Practices, 3(3), 40-51. The Red Flag Matrix Hearing Aid Hearing Aid Counseling Tool, published online at http://www.audiologyonline.com/bestof2011.asp. Co-written with Brian Taylor, AuD of Unitron Hearing. 08/11 and again in 12/11. The Red Flag Matrix Hearing Aid Hearing Aid Counseling Tool, co-presented poster session at American Academy of Audiology Annual Convention in Chicago, IL. 04/11. Grand Rounds: Millard Filmore Gates Hospital – presentation to medical residents on the audiologic considerations, tests, and findings for a variety of otologic and vestibular conditions. 04/11. Grand Rounds: SUNY at Buffalo – presented to AuD students on the audiologic and vestibular test results found in patients with Chiari Type I malformations. 01/11. Audiology: Diagnosis and Management – Instructor, SUNY at Buffalo. This was an undergraduate course for 100+ students. Spring semester 2006 and 2010. Grand Rounds Presentation, Dent Neurologic Institute, Amherst, NY.Why Should We Spin Our Dizzy Patients? A Rationale for Rotary Chair Testing. 07/09. Grand Rounds: SUNY at Buffalo – presented to graduate audiology students on audiology practice expectations for fourth-year audiology residents. 02/09. Bernstein, J. and Burkard, R. (2009). The test order effect of calorics on the sensory organization test protocol of computerized dynamic posturography. American Journal of Audiology, 18(1), 34-44. A Comparison of Receiver Repair Rates: RITE vs. Custom vs. BTE,poster session at AmericanAcademy ofAudiology Annual Convention in Dallas,TX. 04/09. ENG and Chiari Type I Malformations, poster session at AmericanAcademy ofAudiology Annual Convention inCharlotte,NC. 04/08. VEMP Testing as Part of the Vestibular Test Battery, Grand Rounds Presentation, Department of Communicative Disorders and Sciences, SUNY at Buffalo. 02/08. Developing Clinic Specific VEMP Norms, poster session at AmericanAcademy ofAudiology Annual Convention in Denver, CO. 04/07. The Test Order Effect of Calorics on the Sensory Organization Test Protocol of Computerized Dynamic Posturography, poster session at American Speech-Language and Hearing Association Annual Convention in Miami, FL. 11/06. Vestibular System and Testing – University at Buffalo: taught the clinical testing, diagnosis and management sections of graduate audiology course. Fall semester 2017.